Jupiter Hollow hit the National Post Sessions Studio to jam out some tunes! Playing their track ‘Odyssey and a cover of RUSH‘s ‘Closer To The Heart’ Watch it now! “Without a doubt, Jupiter Hollow are elite musicians. Grant and Kenny know exactly how to captivate an audience with their music. This theory is proven through the artistic journey that is their record, Odyssey. Their music is tasteful. This is one of the few records that I have been able to sit down and listen to the entire record without skipping a single track. 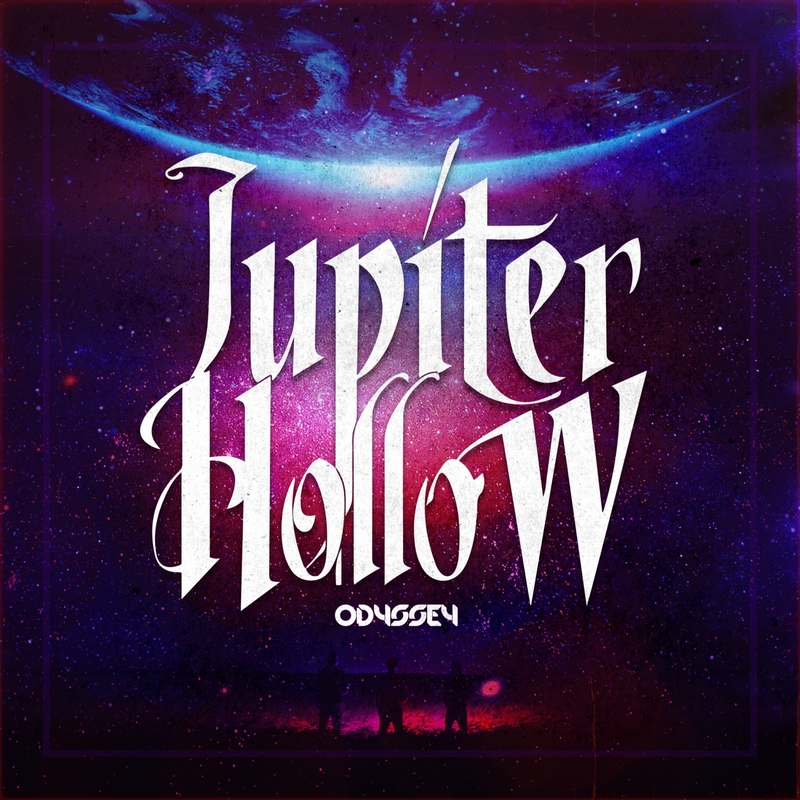 You might think progressive music isn’t for everyone but Jupiter Hollow, makes listening to a genre of music that can be classified as challenging to listen to, rather easy. Every song on Odyssey is an emotional journey, musically and lyrically. Let the music take you by the hand and embrace the emotion in its purest form. Listen to Jupiter Hollow. Now. There’s a reason why they’re being noticed. It’s because they love what they do and they’re good at it!” – Alex CrazyAce, Host/Executive Producer of ‘The Rush’ on VIBE105 FM – Interview can be heard here. Jupiter Hollow is an ambient progressive rock/metal duo from Barrie Ontario, who started in the summer of 2015 and have already mastered the art of bringing their fans on an audio and visual experience. Jupiter Hollow’s sound is usually referred to as spacey, experimental and refreshing, reminding listeners of bands like Tool, Pink Floyd, A Perfect Circle, Tesseract, The Contortionists and Rush. 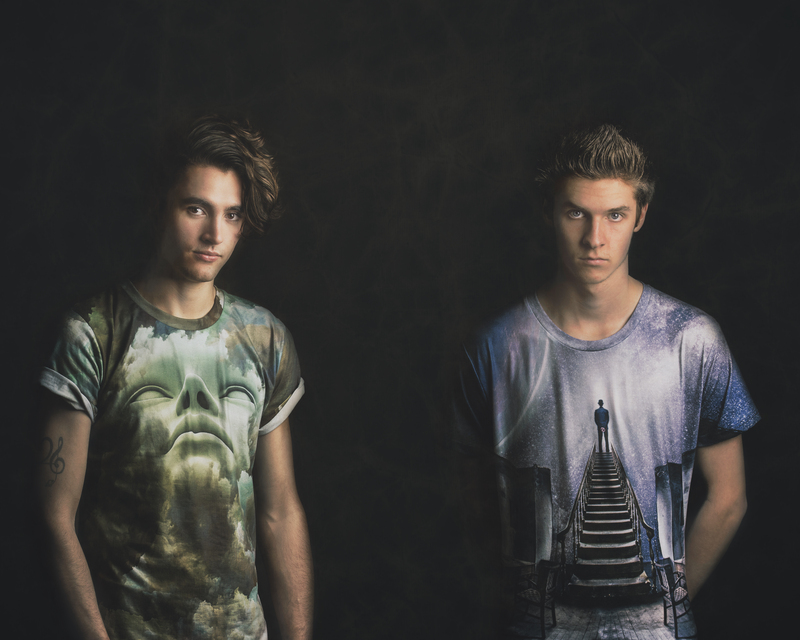 Jupiter Hollow consists of two young, passionate and driven Canadian artists, Grant MacKenzie (21) and Kenny Parry (18). Grant, who plays guitar, bass and synth for the band started his music career 8 ½ years ago at the age of 12, sitting in his basement watching the movie Rock Prophecies. This movie was about legendary rock photographer Robert M. Knight, finding and transforming a young, unknown guitarist from a small town into a worldwide success. Inspired and motivated, Grant spent the next few years honing his guitar skills, writing music, and later learning the business side by attending college for business marketing. At age 20, Grant was invited into the Brotherhood of the Guitar, by founder Robert M. Knight, leading to endorsements with Ernie Ball Music Man and JH Audio. Shortly after meeting, Grant and Kenny knew that their talents combined would create something truly unique, and Jupiter Hollow was born. Since then, the duo effortlessly created music in Kenny’s basement for months on end. The concept grew to be a two-man band, since Grant and Kenny wrote all of the music and wanted to keep it that way. The two musicians used technology to their advantage, allowing them to perform with a dominating stage presence, while captivated their audiences with their unique sonic journey. After performing at a number of music industry showcases in Toronto, Jupiter Hollow caught the attention of music industry representatives, such as Pat Gillett, vocalist/guitarist of Down with Webster, and Arthur Kalamidis, founder of the Landmark Event Showcase Festival. Now, Jupiter Hollow is starting a Canada wide campaign with Arthur Kalamidis and publicist Jon Asher, working to build awareness of the band and their upcoming 5 track EP titled ODYSSEY, set to be released early 2017. The band then plans on releasing a full length album titled AHDOMN.